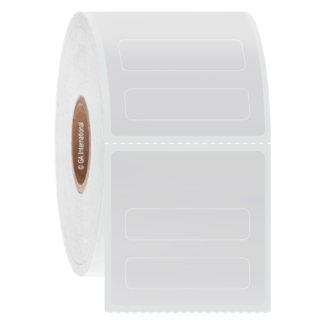 Our specialty ‘Piggyback’ labels have a label-on-label multi-layer design, providing a versatile identification method for different containers and surfaces. 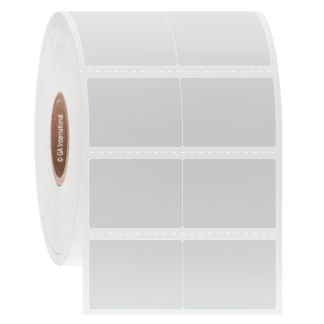 They are composed of one or more smaller labels nestled within one larger adhesive label. This allows multiple related labels to be printed at once and placed in one location until the smaller labels within are needed to identify subsequent items. Our cryogenic piggyback labels have many life science applications in research laboratories, hospitals, and clinical trial facilities. Suitable for cryogenic storage in liquid nitrogen (-196°C) and laboratory freezers (-80°C), they can be used to organize and identify glycerol stocks, competent cells, sample aliquots and more.